The Euroimpresa Development Agency in conjunction with “Laboratorio Idee per il Tessile” present: Processing Ideas. 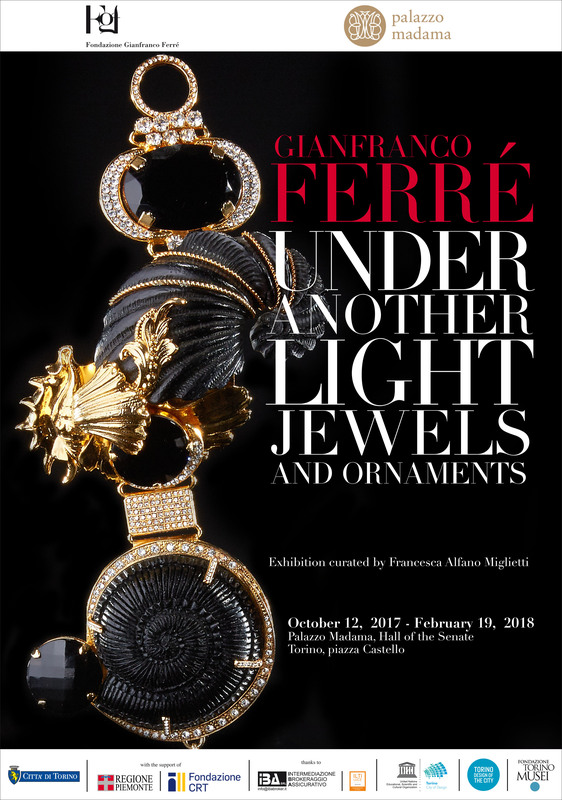 The Gianfranco Ferré Foundation is making a unique and special appearance at the 34th edition of the “Valenza Gioielli” trade show held this October 1st to 4th at the New Exhibition Center in the Piedmontese town of Valenza Po (Italy). The foundation’s participation in the event consists of two distinct display areas that reveal how the great fashion maestro pursued a twofold vision of ‘jewelry design’ during the course of his thirty-plus year career. First of all, the entrance hall holds a cubical gold magic box with an authentic Wunderkammer (Room of Marvels) flair. While video images flash across the walls, six stunning gowns attest to the fact that in many cases for Gianfranco Ferré the precious material became the very substance and soul of the dress, inspiring its creation, informing its construction and ornamentation, defining its cuts, lines and volumes. Then in the main hall there is a dark room where an extraordinary array of items – necklaces, bracelets, pins, metal points – appear on a mock runway. And precisely what strikes the visitor is the wealth of references, influences, ideas animating the pieces: the opulence of our past, the magnificence of other civilizations, the barbarian luxury of primitive cultures. The world of Nature too, with its flora and fauna, as an inexhaustible source of inspiration. By temperament and character a conservative rich in revolutionary spirit, an innovator in love with the past, Ferré expressed his great passion for research, his innate feel for experimentation, also when designing jewelry. All while remaining true to his love for ‘pure’ luxury, for precious metals, gorgeous gemstones and dazzling crystals, he made imaginative use of humble and/or hi-tech materials – in any case, historically extraneous to the tradition of fine jewelry – to fashion unique, magical pieces with a timeless sense of glamour. Redefining the very concept of luxury. Projecting it – and jewelry – well into the future. On Friday, May 20th, the Naples Industrialists Union, in the person of president Paolo Graziano, is hosting the Gianfranco Ferré Foundation with a book presentation and debate. To take place at 4:30 p.m. in the D’Amato Room of union headquarters (Piazza dei Martiri 58), the event features the book Gianfranco Ferré. Drawings. After an introduction by Foundation Director Rita Airaghi, the following will contribute to the discussion: Marino Niola, Professor of Cultural Anthropology and editorialist for the Rome-based daily La Repubblica; Patrizia Ranzo, chairman of the industrial fashion design program at the University of Naples SUN; Vincenzo Trione, Professor of Contemporary Art History at the SUN School of Architecture and at the IULM University of Milan, as well as art critic for the Milan-based daily Corriere della Sera and weekly mag IO Donna. Gianfranco Ferré. Drawings, a book published by Skira and edited by Rita Airaghi, scans the oeuvre of a leading figure in the history of Italian fashion. Through a series of drawings, many previously unpublished, it reconstructs a complex intellectual, cultural and poetic path. These are quick sketches, here in sequence page after page, serving as a prelude to the designer’s clothes and collections. Sheets of paper, on the one hand populated with precise, rapid strokes, elegant silhouettes, a few delineations defining shoulders, legs; outlines already offering a glimpse of the female form. On the other, rather, animated by articulate compositions of lines, volumes, colors. 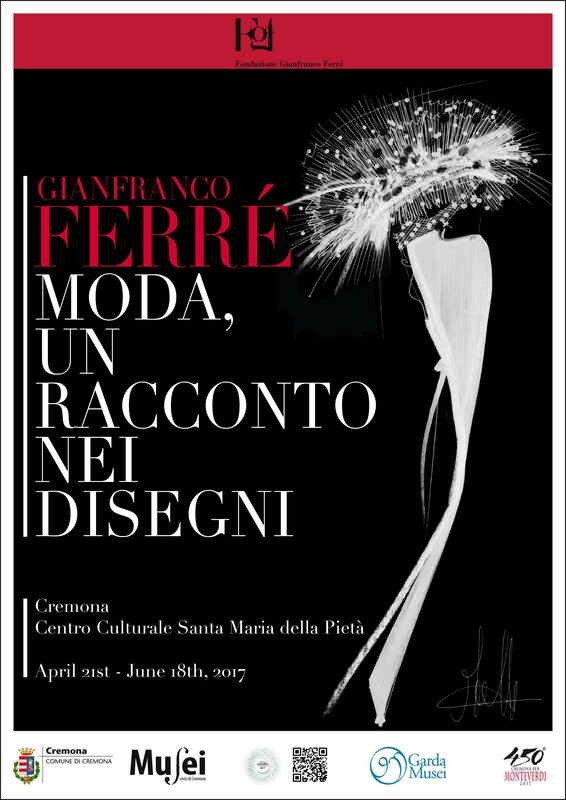 On Thursday, February 3, the book “Gianfranco Ferré. Drawings” was presented in Legnano (where the designer was born and grew up) at the Manor House of the San Bernardino Quarter, one of the town’s eight historic districts. After a few words of introduction about the book by Amanda Dell’Acqua, organizer of the “Giovedì letterari al Maniero” literary events, Rita Airaghi, Director of the Gianfranco Ferré Foundation, and Professor Fabrizio Rovesti, art critic and Director of the Legnano Art Association, analyzed in depth the relationship between Ferré and drawing, between drawings and art, between references and techniques. 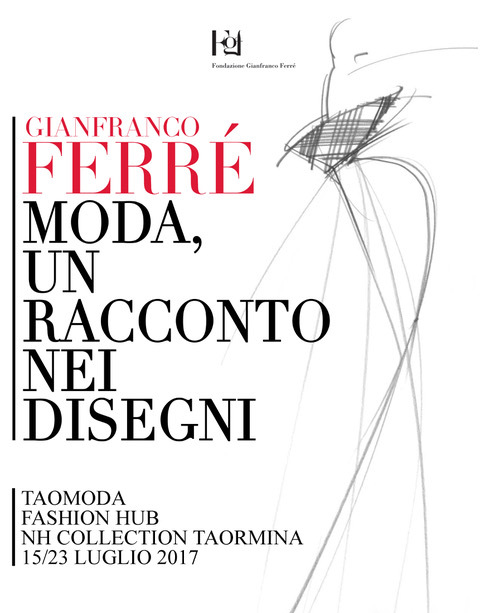 On Friday, January 28th, the book “Gianfranco Ferré. Disegni” was presented in the Council Hall of the Rome Chamber of Commerce. After words of welcome from AltaRoma president Silvia Venturini Fendi and opening comments by Rita Airaghi, Quirino Conti and Angelo Bucarelli began a passionate and learned discussion. On Friday, January 28th, following the presentation of the book “Gianfranco Ferré. 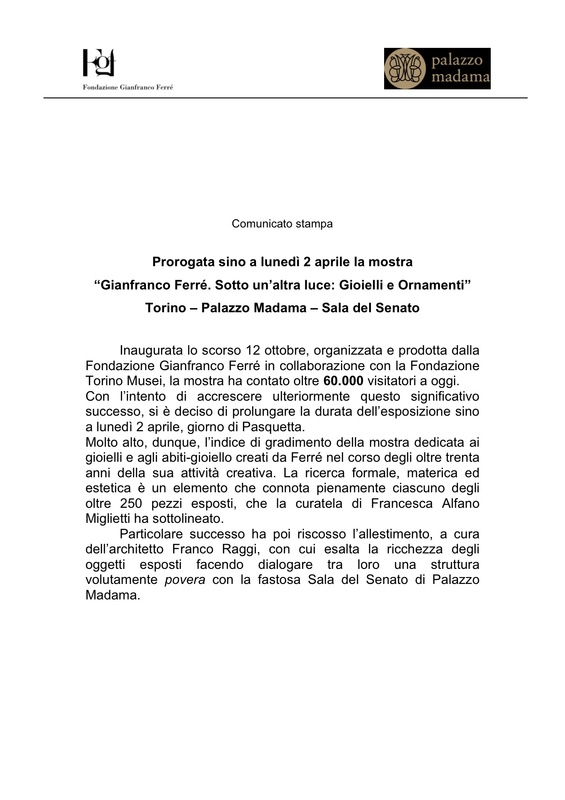 Disegni,” the Mayor of Rome met Rita Airaghi, Director of the Gianfranco Ferré Foundation, at the Capitol (City Hall) and gave her an Institutional Medal. 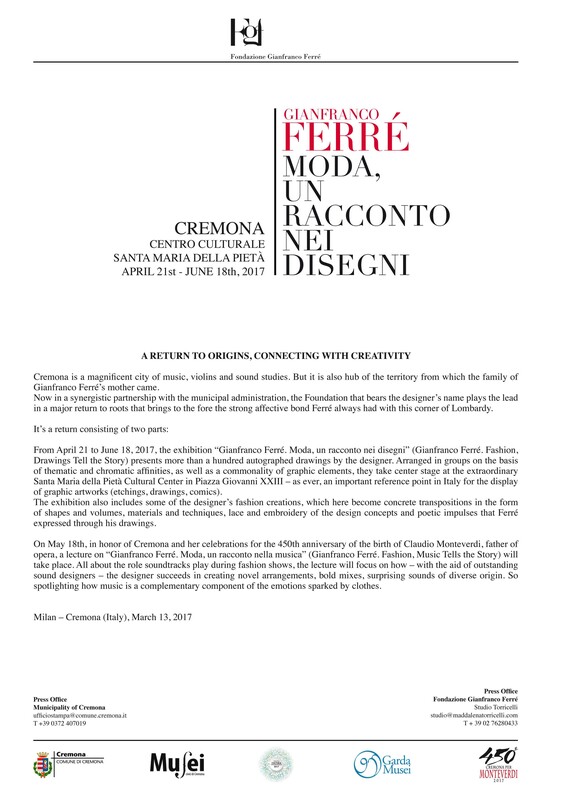 The honor is in recognition of the cultural value of the Foundation’s programs and activities, which center on preserving and diffusing Architect Gianfranco Ferré creative work. An extremely significant part of the same had for a backdrop the city of Rome, where from 1986 to 1989 the fashion designer presented his Alta Moda (couture) collections. 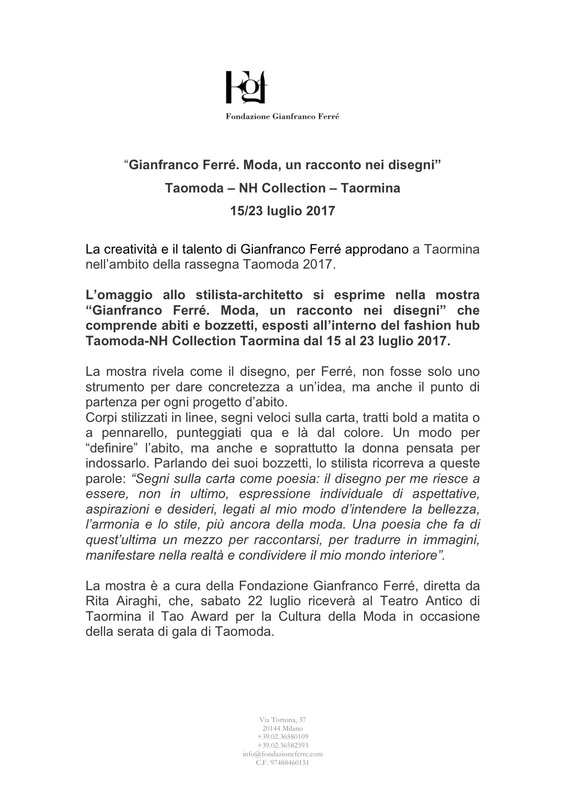 On Tuesday, November 30th, at the Gianfranco Ferré Foundation headquarters at Via Tortona 37, a presentation of the book “Gianfranco Ferré. Disegni” took place with talks by art theoretician Francesca Alfano Miglietti, President of the NABA Advisory Board Alessandro Guerriero, and art critic Giuseppe Scaraffia. Published by Skira, the volume – with editorial project by Foundation Director Rita Airaghi, art direction by Luca Stoppini, texts by Rita Airaghi and Giusi Ferré – presents 375 drawings by Gianfranco Ferré referring to his women’s ready-to-wear and couture collections yet also the various lines he designed in the 1970s before the launch of his signature label. “Gianfranco Ferré. Disegni” reflects the clear intent to tell how in designing a collection – a creative process organized rationally and rigorously, step by step – the drawing always played a fundamental role, defined the fashion maestro’s openly creative primary input. The Gianfranco Ferré Foundation has a new headquarters, at Via Tortona 37 in Milan, thanks to Charlie and Alberto Ferré (Foundation President). It is an elegant and functional 600-sqm space that will house the patrimony of materials that document Architect Gianfranco Ferré’s professional activity and also host various types of research and educational programs that reflect the designer’s cultural and aesthetic values. The configuration of the new headquarters – unmistakably “Ferré” – is the work of Architect Franco Raggi, university classmate and close friend of Gianfranco Ferré. He is the same architect who cooperated with Ferré in designing other of the fashion maestro’s headquarters. “Tortona 37” – where the Ferré Foundation headquarters are now located – is a mixed-use architectural complex designed by Matteo Thun & Partners. It consists of five buildings arranged around a garden-courtyard with trees in the center. The project is part of a major low-environmental impact urban revitalization process featuring the use of energy-saving technologies (geothermal air conditioning, radiant panel heating) and the accurate design of the exterior walls. 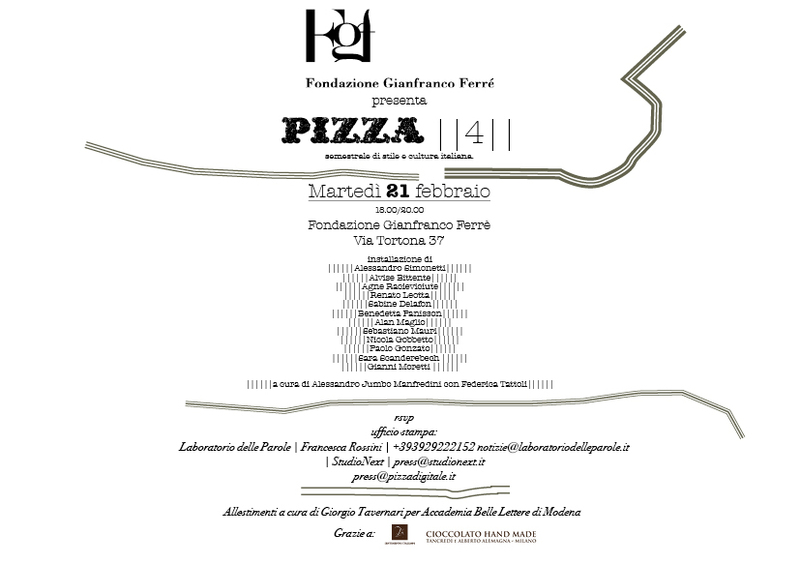 On Wednesday, March 24th, the Bevilacqua La Masa Foundation in Venice will host a presentation of the book “Gianfranco Ferré. Lessons in Fashion” at its headquarters overlooking St. Mark’s Square (no. 71/c). 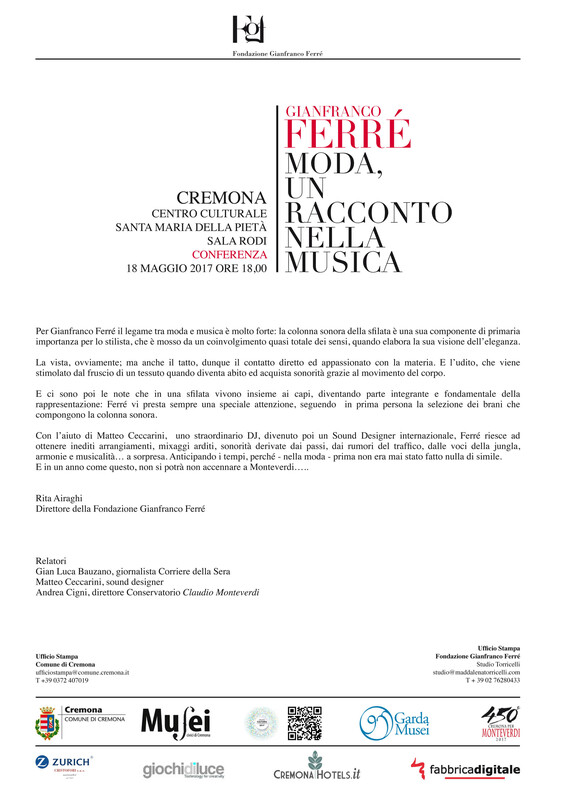 The event is a joint initiative organized by the Venice University Institute of Architecture (IUAV) – and in particular by the Fashion Design Degree Program of the School of Design and the Arts – in cooperation with the Gianfranco Ferré Foundation, the Bevilacqua La Masa Foundation and the Treviso Chamber of Commerce. With Mario Lupano of the IUAV serving as chair, after a few introductory words by Bevilacqua La Masa Foundation President Angela Vettese, the presentation will proceed with talks by IUAV professors Elsa Danese and Raimonda Riccini, as well as by ANSA (Italian press agency) journalist Roberta Filippini. Rita Airaghi, Director of the Gianfranco Ferré Foundation, and Maria Luisa Frisa, editor of the book, will also be there for the occasion. Fashion is logic, method, system. It is work. Better still, fashion is lots of different types of work: that of the designer, that of the tailor/dressmaker, that of the artisan/craftsman, that of the technician… And work of this kind necessarily presupposes enthusiasm, dedication. Curiosity, understood as the ability and desire to look around and draw new stimuli. Culture, understood as familiarity with the experiences of others, with various expressions of human knowledge, with other horizons and other life realities. Lessons in Fashion, edited by Maria Luisa Frisa, is a collection of the lectures Gianfranco Ferré gave over a span of years, from 1994 to 2007. The last one is dated June 14, 2007, just a few days prior to his death. The person responsible for putting this series of lectures together is Rita Airaghi, director of the Gianfranco Ferré Foundation. As such, she is also imparting order, form and visibility to an archive of extraordinary importance to the history of Italian fashion. The entire world formed the backdrop for these lectures, for they were held in cities ranging from London to Tokyo, from Milan to Istanbul, passing through Shanghai, Turin and Florence. 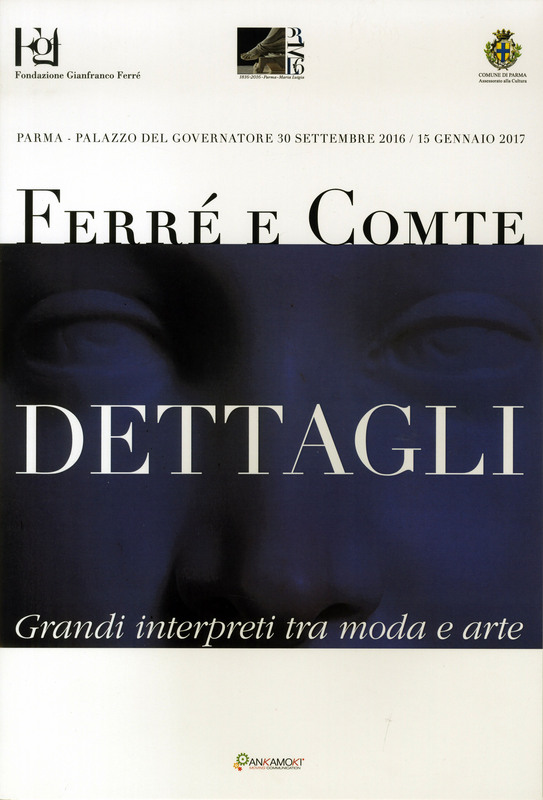 And on each occasion Ferré addressed a different audience, whether students at the Polytechnic Institute of Milan or at Central Saint Martin’s College in London, or the super elite of fashion circles as in the case of the Luxury Conference that Suzy Menkes coordinated in Istanbul for the International Herald Tribune. Lessons in Fashion also includes the photographs that Gianfranco Ferré presented in the form of slide projections during his lectures to add substance to his words. In these texts the architect of fashion – to use the term the international press coined to define Ferré – talks about his creative processes and practices with generosity and intelligence. As an architect he knew quite well what giving concrete shape to an idea, an intuition means: drawing a fashion sketch on paper and then transforming it into the technical design that in essence is the pattern from which the article of clothing is made. 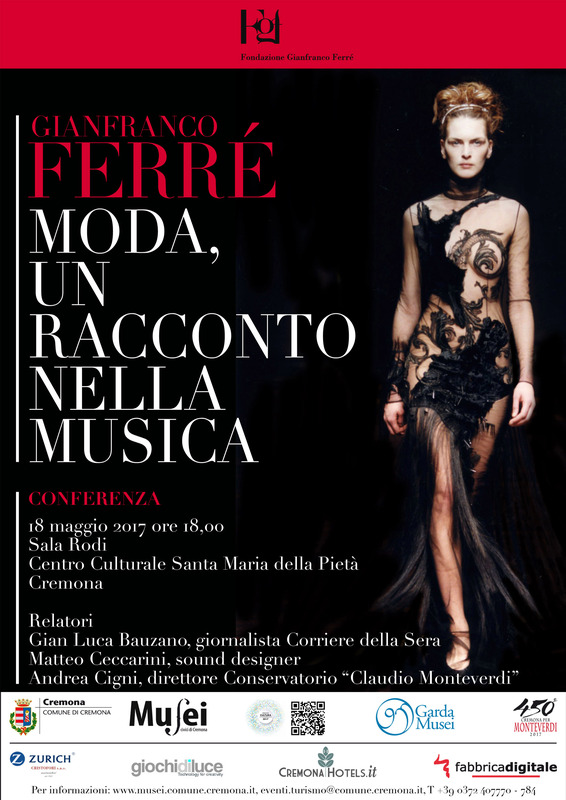 Gianfranco Ferré is the only designer on the Italian fashion scene who took a direct, personal and upfront interest in transmitting his knowledge and expertise to others, young aspiring creatives most of all. Beyond these lectures, his years teaching at the Domus Academy, in the 1980s, and his months serving as President of the Brera Academy of Fine Arts, up until his untimely death, are further indications of his dedication in this respect. In view of the major changes affecting the industry today, it is important to reread the words and reflections of this leading name in Italian fashion, truly one of the all-time greats. The Mode series of books is a Pitti Discovery Foundation project devoted to prominent figures and ideas in fashion. On Sunday, April 5, the Spazio Lanificio Conte in Schio (Vicenza) hosted a round table titled “Enterprise Archives: Memory and Patrimony” within the sphere of the Città Impresa (One Company Town) Festival. Mario Lupano, professor at the IUAV University in Venice, moderated the discussion. Rita Airaghi, General Manager of the Gianfranco Ferré Foundation, presented the foundation’s aims and upcoming activities. She also illustrated her particular archival methodology. On Monday, January 12, 2009, the White Hall at the Pitti Palace in Florence hosted the presentation of “20th Century Fashion Archives,” a joint ANAI (National Association of Italian Archivists)/Italian Ministry of Culture project. Rita Airaghi, General Manager of the Gianfranco Ferré Foundation, took part upon invitation in the round table following the event. Discussion topic: “The Italian fashion system and making the most of its memory.” After describing the inspiration behind the foundation – the main aim of which is the creation of a user-friendly archive that preserves/organizes the wide range of materials that document the designer’s professional activity over a span of thirty years – she illustrated the software enabling the inclusion of texts, PDFs, photographs, drawings, film/video footage, audiovisuals, work files, etc. in the foundation’s database. Catania, Saturday, July 19: within the sphere of the “Catania, Talenti & Dintorni” fashion gala, Cinzia Malvini and Marco Giorni had the honor of awarding the International “Fashion History” Prize to the Gianfranco Ferré Foundation. “In memory of the unforgettable Gianfranco Ferré, on the 30th anniversary of his first fashion show, for the relative Foundation’s commitment to perpetuating the name of Gianfranco Ferré through educational exhibitions and programs, our commission, jointly with the University of Catania, has chosen to give the same Foundation this coveted prize” (represented by a silver elephant, symbol of the City of Catania). Prior to the award ceremony, the city’s Piazza Università made for a stunning Baroque backdrop to a special fashion show of twelve evening gowns from the foundation’s historical archive. Today, Wednesday, February 13, in the presence of Milan-based notary public Enrico Bellezza, the Gianfranco Ferré Foundation was established. The founders are Cavalier Tonino Perna, Chairman of IT Holding S.p.A. and of Gianfranco Ferré S.p.A., and Mr. Alberto Ferré, brother of the Architect Gianfranco Ferré. Sole aim of the Foundation’s efforts and activities is to preserve, promote and diffuse the cultural, artistic and aesthetic values which Architect Ferré elaborated, expressed and embodied during the course of his lifetime. - awarding of undergraduate/master degree prizes to young people who intend to pursue a career in some sphere of fashion, in the form of guaranteed financial aid for starting up or during the course of a specific company internship. Chairman of the Foundation is Cavalier Tonino Perna, Deputy Chairman is Mr. Alberto Ferré, General Manager is Rita Airaghi. The Board of Directors, whose members presently include Cavalier Perna, Mr. Ferré and Ms. Airaghi, will designate as soon as possible an advisory board composed of prominent figures from various realms of the arts and social services with recognized expertise in the areas of interest to the Foundation. The advisory board will institute, from among its own members, a smaller scientific committee with the task of identifying, orienting and optimizing the Foundation’s strategic and operational decisions.